Ratek are available via phone, email and live on the web between 9:00am and 5:00pm Monday to Friday Australian Eastern Standard Time to assist you with any enquiry you may have. We have a large network of preferred resellers in Australia and internationally who can offer expert advice and backup service. Please contact us to locate your nearest Ratek preferred reseller. Our staff are friendly and reliable, and appreciate how valuable your time is. We are committed to handling your enquiry as soon as possible, and you can always be certain of getting an answer when you need it. We pride ourselves on unparalled customer service. 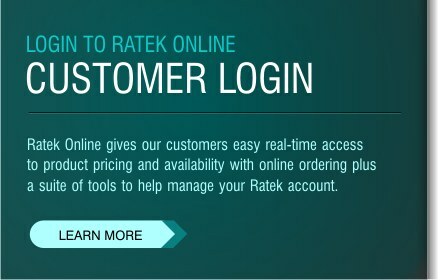 Should you have any questions regarding a Ratek product, or you'd like help locating your nearest Ratek reseller, our customer service staff are here to help. For urgent enquiries during business hours, please either call our office or use the live web support option located to the right of this page. Please complete the online form below. Please advise your preferred contact details and a suitable time of day if you'd prefer a return phone call rather than email. We will endeavour to respond to your enquiry as soon as possible during business hours. Live online chat is generally available between 9:00am and 5:00pm Mon-Fri Australian Eastern Standard Time. Use the online chat at the bottom right of screen to talk to a Customer Service representative. Business Hours: Monday – Friday 9:00am – 5:00pm Australian Eastern Standard Time. Closed public holidays and weekends.